With the progress in technology, we have made ourselves adapt to watching every sort of content on our phones and tablets, but still nothing can quite beat the experience of watching on a proper large display. With lots of different sizes to choose from, plus the question of whether you should go for a 4K TV, a 3D TV, a curved TV or stick with Full HD TV, finding the right model isn’t always that easy. So below is a compiled list of the top 5 best TVs that you can consider buying. The LG 49UB850T is a full HD classy looking TV which impresses with its metallic frame and slim body. It is powered by the Triple XD Engine which exhibits crystal clear pictures thanks to the blend of perfect color and contrast. The smart TV comes with an advanced and convenient 3D conversion technology that lets you instantaneously transform any 2D content into astoundingly deep and realistic 3D, even if there is a lack in quality of the content. It runs webOS 2.0 that lets you surf the internet with ease and also provides access to YouTube, Facebook, Twitter, or browse the web with your remote control, which also supports voice recognition. With its Dual Play function, the TV heightens your gaming experience by transmitting two separate 2D images that can be seen through two different sets of polarized glasses. The Micromax 42C0050UHD 42 inch Ultra HD LED Smart TV is a budget friendly device. With its sleek and slim frame, the TV looks quite desirable. Offering 4 times the final resolution of what you will find in an ordinary full HD TV, it produces crisp and sharp pictures. A wide viewing angle of 178 degrees gives you the comfort of watching TV from any corner of the room. With its SRS surround sound system, it provides you with utmost entertainment. 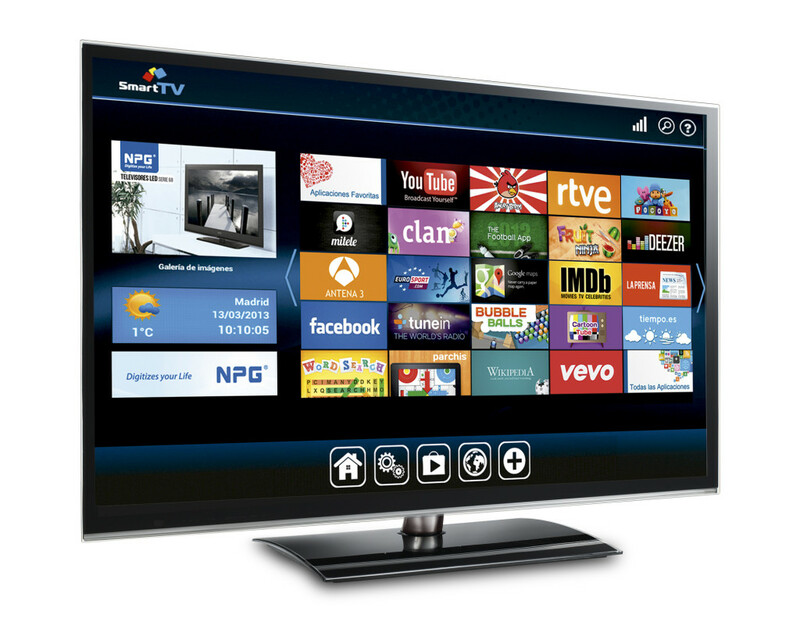 The Smart TV runs Android Jellybean OS which gives you access to your favorite Android applications. This LED has been designed with and offers 5 main sound modes, namely: Standard, Music, Cinema, Game and Sports. F.It eliminates the requirement of an additional speaker system because it has built-in, powerful 2.1 ch surround sound speakers to provide stunning audio output. The presence of a Wi-Fi system makes it very easy to share media without any additional hassles. The device has other essential features like MHL and screen mirroring. The Samsung UA32H6400AR produces high quality full HD pictures which is further enhanced segmented dimming technology which lets you enjoy viewing with purer white and deeper black shades. It also comes equipped with Samsung’s Motion Control technology which lets you control it with simple gestures. Samsung’s Smart View 2.0 makes streaming live broadcast content to your smartphone and vice versa. It also comes with 3D technology to enhance your picture quality for a clearer viewing experience. The Samsung UA32J6300AK with its gentle curved screen provides uniform and balanced viewing from all areas. With the help of Samsung’s Auto Depth Enhancer, images seem to pop out, giving you a surreal viewing experience. The television comes with “Easy Sharing” that makes it easy to share content between your TV and mobile easily. Samsung Smart TV picks up the signal when your device is close by and seamlessly plays the content in the optimal resolution for the big screen. The TV can sync important data like alarm, reminders, weather reports etc directly from your smartphone and display it on the large screen every morning. It has several applications to cater to the needs of all household members.